Posted on December 18, 2017 by treelawyer	tagged. There’s plenty of talk about old-time religion around these days. The Supreme Court just heard a case pitting religious freedom against anti-discrimation laws. The Virgin Mary and a sheep get into a tussle over Baby Jesus at a nativity scene. If there’s a lesson for us here, it’s that we shouldn’t try to enlist the Almighty too easily as justification for falling trees. But the folks at the Ohio Department of Natural Resources are all too willing to overlook the separation of church and state when it’s especially convenient to do so. When one of ODNR’s decrepit cottonwoods fell on Mr. Vondrell’s seawall (or perhaps “lakewall,” because there’re only freshwater lakes in Ohio), the State said, “oops, an act of God.” The winds were blowing pretty fiercely that day, but the DNR figured that was enough to claim that the tree fell in a storm. Just a capricious Almighty, don’t you know? Which of course meant that the DNR wasn’t liable. It may have been breezy, Mr. Vondrell countered, but the cottonwood that crushed his concrete wall fell because it was good and dead, and had been for a long time. Perhaps so, DNR responded, but we didn’t know it was dead. The Court of Claims sided with Mr. Vondrell. 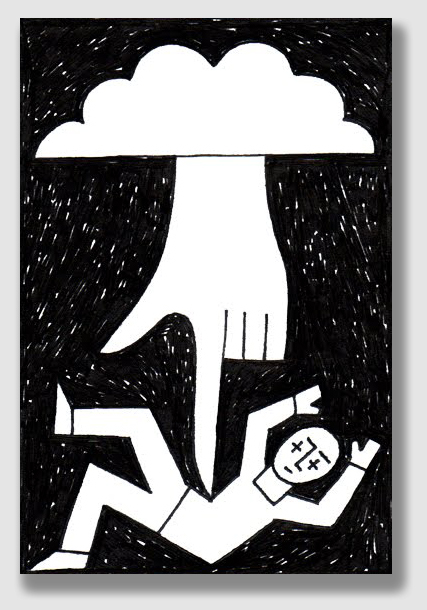 An act of God has to be all God, the Court said. If the cause of the falling tree is aided at all by the agency of man, even the fact that the deadfall resulted primarily from an act of God won’t relieve a defendant from liability. Still, for a defendant to be negligent, he, she or it had to be on actual or constructive notice of the hazard posed by the tree. Here, the fact that tree had been dead for over five years and DNR employees had been seen in the area of the tree was enough for the Court to conclude that DNR reasonably should have known about the defective tree. 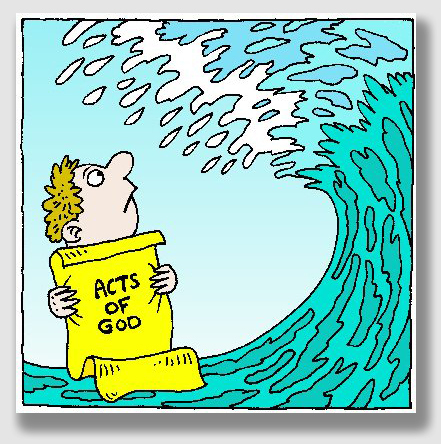 So when there’s an act of God, it better be all God… and no man (or woman). Vondrell v. Ohio Dept. Natural Resources, 2007 Ohio 7232, (Ohio Ct. Claims, Dec. 4, 2007), 2007 Ohio Misc. LEXIS 503. Mr. Vondrell had a seawall on his lakefront property. A cottonwood tree next door in a state park fell during a windstorm and damaged the concrete. The agency managing the park, the Ohio Department of Natural Resources, argued that the damage was due solely to an “act of God,” the high winds that caused the tree to fall. Mr. Vondrell argued the damage-causing tree was dead, that DNR personnel had years of prior knowledge the tree was dead, and that DNR knew or should have known the dead tree presented a falling hazard. Photographic evidence showed the tree was clearly dead. Mr. Vondrell argued the tree that fell was very tall and was dead when he had bought his adjacent property in 1999, five years before the collapse. Additionally, he said, DNR personnel were seen in the area around the dead cottonwood trees many times between 1999 and 2005. 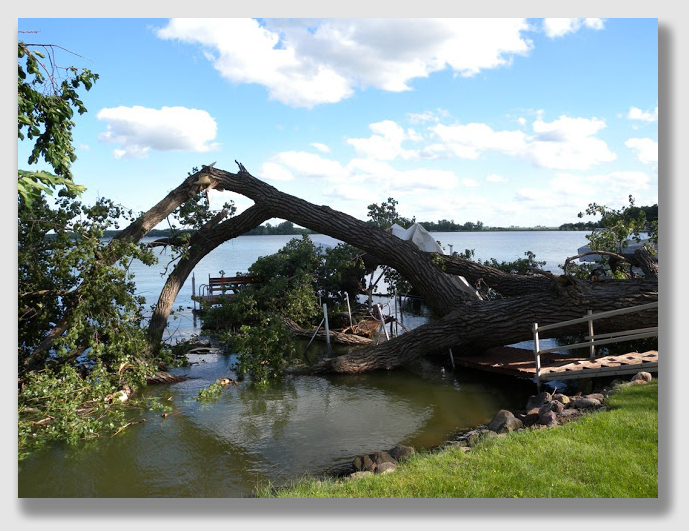 He contended his property damage was proximately caused by negligence on the part of DNR in maintaining a known hazard on park premises and not merely by high winds falling a healthy tree. Mr. Vondrell sued in the Ohio Court of Claims, which has jurisdiction over claims against the State. Held: DNR was negligent, and had to pay. The agency adduced all sorts of evidence as to high wind speeds on the day in question, but high winds alone do not an act of God make. It’s true, the Court said, that no liability can attach to an act of God. However, an act of God must proceed from the violence of nature or the force of the elements alone: the agency of man must have nothing to do with it. The Court held that Mr. Vondrell proved that DNR had constructive notice of the condition of the tree. The tree stood dead for over five years, and DNR employees were seen around it often. Under Ohio law, the Court said, it wasn’t enough that DNR argued it didn’t know about the condition of the tree. It was on constructive notice of the condition of the tree. In a situation such as this one, where two causes contributed to an injury, one cause which is a defendant’s negligence and the other cause an act of God, defendant may be held liable if a plaintiff’s damage would not have happened but for defendant’s negligence. If proper care and diligence on the part of DNR had avoided the act, it is not excusable as an act of God. Essentially, if DNR’s negligent act concurs with an act of God to cause damage, defendant cannot escape liability.